We woke up early to hunt for a place for breakfast, which turned out to be a wrong decision on a Sunday morning. The streets around our hotel were literally empty, with every shop closed for the day. Our hotel concierge advised us to check out this restaurant about 5-10 minutes walk down the street, which should be opened at 10am. The kimchi here was the best I have ever eaten! The waitress told us that some tourists liked it so much that they even packaged 4kg worth of kimchi to take home! However, the noodles and pancake were ordinary so we didn't go back although I would have loved to for another round of kimchi. 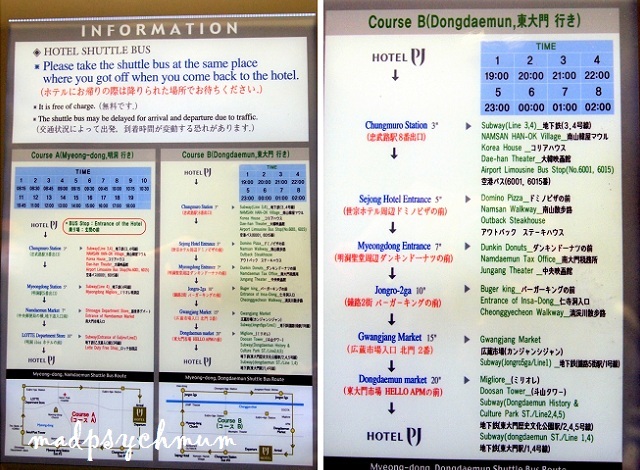 After a nice brunch, we proceeded back to our hotel to catch the free hotel shuttle bus to Myeongdong Station, where Mt Namsan is located. The shuttle service is one of the reasons why we decided to stay at PJ Hotel as it made travelling by subway very convenient for us. Leave the station through Exit 4 and walk straight until the main intersection then turn left. 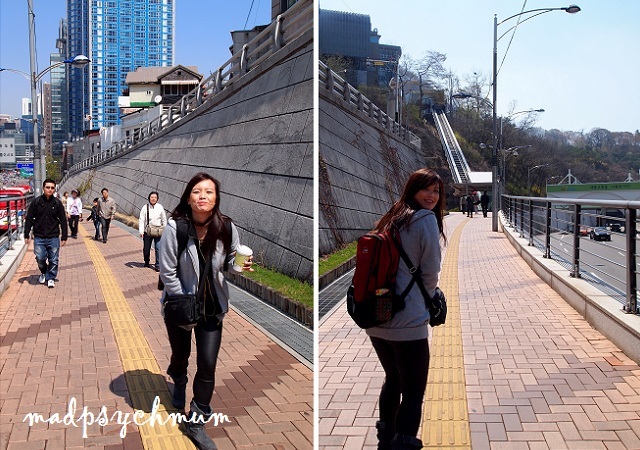 Walk up the slope until you arrive at an inclined elevator. 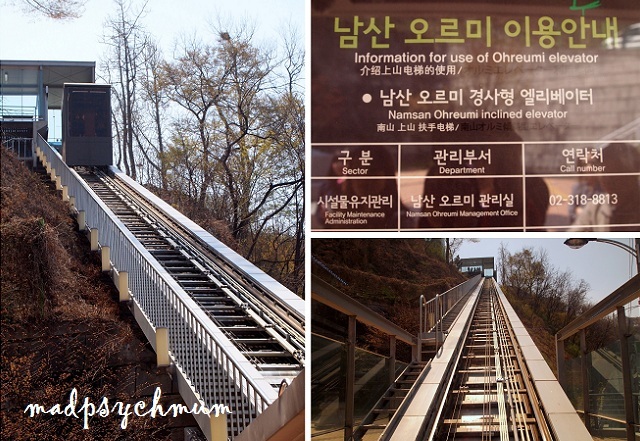 It's the first time I've ever travelled on an inclined elevator, thought it was super cool! The cable car station was situated at the top where we boarded the cable car and got a nice view of the tower. It was a bumpy and uncomfortable ride as we had to squeeze with 30 other people but the view was beautiful! 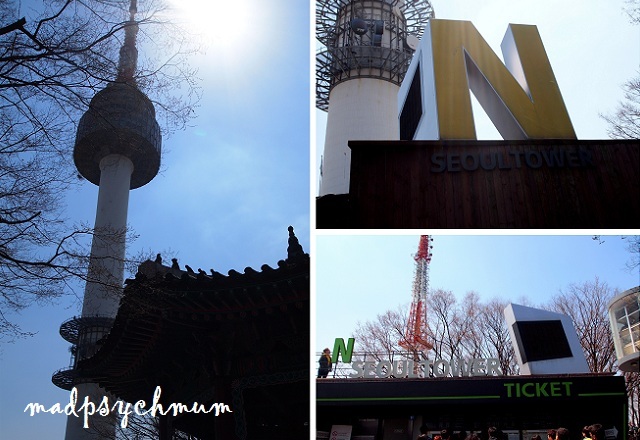 We proceeded to the famous N Seoul Tower to purchase tickets to the observatory to get a panoramic view of the city of Seoul City from above. The view from the top was quite beautiful although I thought it looked similar to what we've seen at the base of the tower so it was nothing surprising. 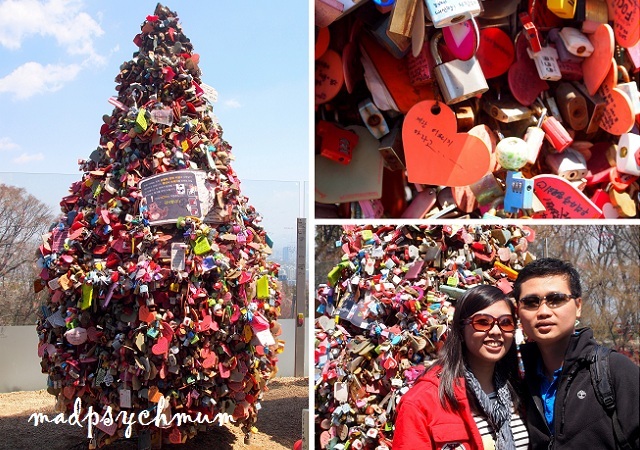 We also saw the Love Padlock Trees which contained thousands of locks that couples have hung on the tree with the key thrown away to symbolise their eternal love locked together forever. Many Koreans were having a picnic at the Namsam Park on this sunny Sunday morning while enjoying the blooming cherry blossoms in the back drop. We loved the fresh air and chilly winds blowing onto our faces as you will never get to enjoy this in tropical Singapore! 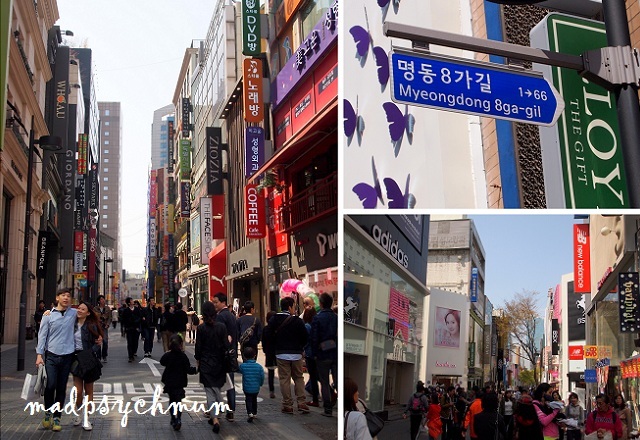 We then took the cable car back down to the base and continued our day shopping at Myeongdong, which was famous for its cheap cosmetics and beauty products! Hungry after all the shopping, we stopped to try a 32cm tall ice-cream! 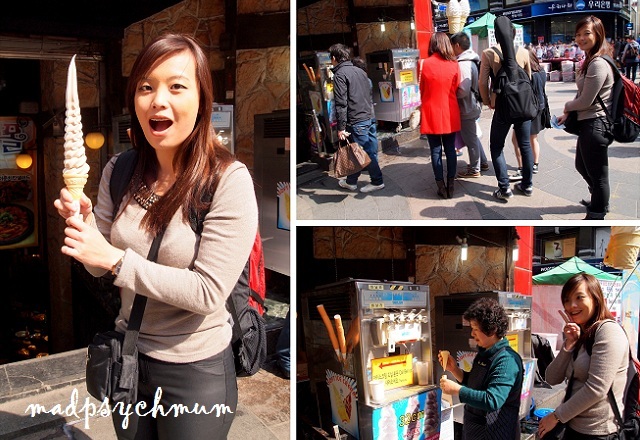 Having been told that the nearby Namdaemun Market was also famous for shopping, we decided to check it out next. The streets were lined with buntings of all the different flags of the world so you would not miss it if you're in the area. After buying lots of seaweed and souvenirs, we took the subway from Hoehyeon Station (the nearest station) back to Chungmuro Station where we had BBQ yet again for dinner. The food here was a lot more expensive than the day before although the cut of the meat was also a lot better. 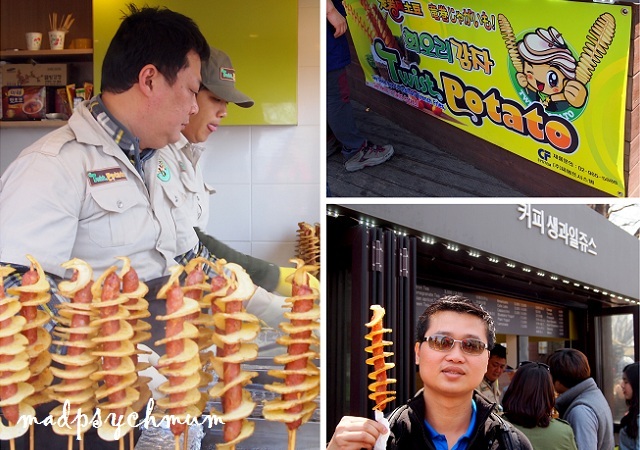 Nevertheless, for the price and the bad service, it is unlikely that we will be back again.